Before exploring this topic, it is incredibly important to note that it is necessary in some States to have done an apprenticeship if you are to qualify for a journeyman electrician license. Find out from your local licensing department about the laws of your particular State before you start your venture into becoming an electrician. This is especially important in cases where your aim is to own your own business or to become a Master Electrician, as you will most likely have to prove that you have done an apprenticeship in order for you to be viable for these licenses. Apprenticeships can be hard to find, especially in areas where becoming an electrician is a popular job choice. Some schools and technical colleges offer apprenticeships as part and parcel of the formal education you will receive, so it is a good idea to start searching there. You can also find out from local unions whether they offer apprenticeships, or whether they might recommend one. Union apprenticeships are also great ways of finding jobs. Another option is to scour local job listings for any openings at companies in your region. Sometimes, Master Electricians will take on apprentices, so be sure to ask around as well. You can, however, become an electrician without doing an apprenticeship in some States. If you do not want to wait (an apprenticeship can take up to four years to complete, depending on whether you have decided to specialize or not) and would like to jump right in, the following information might help you. What Education Is Needed To Become An Electrician? To become a certified electrician in America, you need to have a high school diploma or General Equivalent. This is absolutely necessary and non-negotiable, as you will be facing a number of tests and exams on your road to becoming a certified electrician. You will need to have a good understanding of algebra, for one, as this is likely to pop up in tests along the way. The next educational requirement for becoming a certified electrician, is having graduated from a recognized school for electricians. There are a good many schools to choose from. Some focus on one field, while others allow you to gain a general knowledge of a number of fields. Find one that suits you. You can talk to electricians in your area to find out which schools they would recommend, or ask your local union for advice. There are even a number of online options, but make sure that the licensing department recognizes the institution before enrolling. In most States, you will have to have completed an apprenticeship as part of practical training, so be sure to find out whether your State requires this. Is Schooling Required To Become An Electrician? Absolutely. American law dictates that you need to have graduated from an electrician school for you to be issued a license to work unsupervised as an electrician. Unfortunately, this is non-negotiable. But it is both to your benefit and those around you. You will be better able to find a proper job with a valid qualification, and your future clients will be sure to receive the best service possible. How Many Years Does It Take To Complete Electrician Schooling? This depends entirely on whether you have decided to specialize in a certain field or not. Your decision of doing an apprenticeship at your school can also add to the amount of time it will take. In general, it can take anything from 6 to 18 months to complete a course at your electrician school. If you have decided to further your education and specialize in something like machinery, or even a sector such as coal mining, this could take longer. After you have completed your course, you will need to take an exam at your local licensing department in order for you to operate as a valid electrician. The exam mostly consists of testing your knowledge of the National Electrical Code, as well as your State’s codes and regulations regarding electrical work. You will need to find out what the local testing schedule is. By taking everything into account, you should be a certified electrician within two years’ time, if you have opted not to do an apprenticeship. Once again, it is entirely possible to become an electrician without doing an apprenticeship. But be sure to check what the State laws are pertaining to this. Should you like to open your own business later on, your lack of an apprenticeship might count against you when you apply for a business license. Also, if you should decide to move and work outside of your own State, you might find it more difficult to find a job with major companies without having a recognized apprenticeship on your résumé. Weigh your options carefully and try to decide early on what your future goals as an electrician might be. You might not need an apprenticeship after all. This entry was posted in Electrician Jobs, Electrician Qualifications on March 26, 2014 by admin. Being an electrician is a highly rewarding job. If you enjoy solving problems, are technically apt and have a knack for working with power tools, this might just be the perfect career choice for you. There is a growing global demand for electricians at the moment, owing to the fact that the construction world is taking on new projects across the United States. As America becomes more environmentally aware, both homeowners and corporate companies alike are making use of electricians to install greener electrical systems. This is also true for the State of California, where the green movement is only gaining momentum. With so many options and even new fields to choose from, now is the best moment to become an electrician in California. But how do you become a certified electrician in the State, and what are the requirements you need to meet? How do you go about gaining an apprenticeship? This quick guide should send you on your way. To become a certified electrician in California, you will have to prove that you have graduated high school or obtained a GED. The requirements for State licenses also dictate this. When applying for an apprenticeship, you will be writing an algebra test, so it is necessary that you have either one of the aforementioned diplomas. Trade schools advise that you find a study course that you can complete while doing your apprenticeship next. There are many sectors to choose from when you are deciding whether you would like to specialize, so take your time and research them all properly in order to find one that you are passionate about. While you are studying, it would be a good idea to do your apprenticeship at the same time, shaving years off the process of becoming an electrician. What’s more, you will be paid for your work as an apprentice, calculated according to your level and your mentor’s hourly rate. This fact leads many students to choose to do an apprenticeship and go to school at the same time, as they will be earning a living. Your income will also increase over the years as you gain experience. Once you have completed the aforementioned steps, you will be eligible to apply for a journeyman electrician’s license. It is a basic requirement in California for an applicant of an electrician certification to have a high school diploma or General Equivalent. He/she must have studied at a recognized institute and have indentured in a recognized apprenticeship program. The amount of supervised working hours the applicant has completed will also be put under evaluation, so be sure that you can prove your hours through your apprenticeship or the company you worked for. When applying for your certification, you will be required to take a test. After you have been certified, you will now be able to work as an electrician in the State of California. The National Electrical Code will now dictate how you handle yourself in the field, so be sure to honor it at all times in order to keep your license. Licenses also need to be renewed, so do so before you get a penalty for being late. You can find apprenticeship positions in your local classifieds or job boards. As this is a paying job, these two places often hold advertisements for apprenticeship positions. You can also apply for an apprenticeship at most major companies. Keep an eye on their websites, or visit them in person. Be sure to have a decent CV at hand, and be willing to motivate your reasons for approaching their company. They often receive a great number of applications, so you will need to stand out. You can also find out from local electrician unions about their apprenticeship programs. Apprenticeships with unions have been known to evolve into jobs within the same unions if you stick it out. Another option is to speak to an independent Master Electrician to find out whether he/she would be willing to take on an apprentice. The key is to keep your ear on the ground and jump for every opportunity that comes your way. Be diligent in your search, and you should find an apprenticeship in no time. If you feel that the job of electrician will suit you, you need to start planning for your future career as soon as possible. It is never too early to find the right school or even lock down an apprenticeship for yourself. Through hard work and determination, you can obtain your license in under five years. From there on out, you have the option of working toward getting your Master Electrician license as well. There is no reason to wait any longer! This entry was posted in Electrician Jobs, Electrician Salary, Electricians In California on March 25, 2014 by admin. The electrician job market has seen a massive influx of opportunities in the last few years, and this is only projected to increase in the coming years. America is decreasing its carbon footprint, and businesses and individuals alike are looking for greener ways of using electricity. Electricians are flooded with work, installing new economic wiring systems and solar-energy contraptions. Right now, new construction projects are springing up all over the United States as the country is becoming more economically stable. If you are thinking of becoming an electrician’s helper, now is the perfect time to do it. As an electrician’s helper (or apprentice), you will be doing anything and everything that the journeyman electrician requires of you. You will be learning new skills on the job and facing a variety of common problems. Should you apply for a journeyman electrician license later on, the hours you have put in as a helper will benefit you in your application process. Becoming an electrician helper is definitely an important step toward becoming a licensed journeyman electrician. But where do you start? To help you on your way, here are a few answers to your most pressing questions. First of all, you will need to obtain a high school diploma or General Equivalent. This is absolutely necessary, as you will be required to take an algebra and comprehension test when applying for a formal apprenticeship. Once you have your diploma, start searching for a position as an electrician helper. As it is a paid position, you are likely to find job openings posted in your local classifieds. You can also ask around to find out if any Master Electricians in your area are taking on helpers. Keep an eye on the websites of major electrical companies. Every so often, they take on scores of helpers at one time. If you would like to apply for such a position, you will need to have a decent résumé typed out, and you would most likely have to go for an interview. You can also find out from local unions whether they know of any reputable apprenticeship programs. Oftentimes the unions themselves offer apprenticeships that later lead to jobs. It is also a very good idea to check whether your local electrician school offers apprenticeships. If you would like to become a fully licensed electrician later on, you will need to complete formal studies anyway, so why not combine the two experiences? Once you have locked down an apprenticeship/helper position, it is essential that you take it seriously. Be inquisitive. Ask a lot of questions, as this will be your practical training. 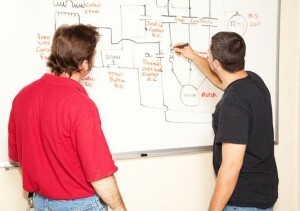 Don’t be afraid to make notes and check your theories with your Master Electrician. Listen carefully. Once you have obtained a license, you will need to stand on your own two feet and handle everything on your own. Take responsibility. Always be on time and on point. If the company you are working for has a dress code, stick to it. Keep to the safety regulations. If you make a mistake, own up to it and learn from it – this will only benefit you in the long run when you need reference letters from your Master Electrician. See every task as an opportunity to learn. Relish your time as an apprentice and be sure to learn as much as you possibly can. Your enthusiasm and passion will be recognized and rewarded. How Much Does An Electrician’s Helper Earn? This is entirely dependent on the level of the helper (whether he is a first-year, second-year etc. ), the base hourly rate of the company you are working for, whether you are working in a specialized field, and in what State you are in. As your experience as a helper grows, so will your salary. It’s a slow and steady race. Experience pays. Your salary will often be calculated according to a percentage of the Master Electrician’s hourly rate. You will be earning less than him, but the rate will be fair on all accounts. If you are working as a general electrician’s helper, you may be earning less than someone who is more specialized. The different fields and sectors vary greatly. Be sure to find a field that you are passionate about first and foremost, though, as this will ensure your happiness as well. The pay rates of different States vary greatly. According to the Bureau of Labor Statistics, the highest paying State for electricians is Alaska, followed closely by New York. Find out what the Average salary of an electrician helper is for your States, so you can better calculate your potential earnings. The above mentioned all needs to be taken into account. However, the average hourly rates for first-year helpers across America is reported to be anything between $12.00 to $23.00 per hour. Becoming an electrician’s helper is the first step toward becoming a certified electrician. Grab the opportunity with both hands! This entry was posted in Electrician Helpers, Electrician Jobs, Electrician Qualifications on March 24, 2014 by admin. The path you need to follow in order to become a Master Electrician is one that will require you to work hard. You will need to do your best, put in your hours, climb more than one ladder and study hard. Being a Master Electrician requires you to be able to run your own business, or work professionally for a major company. You may even be required to take on an apprentice later on, so you should be confident in your skills and your knowledge of the National Electrical Code. The requirements for obtaining a Master Electrician license differ between States, and the length of time it takes to become licensed differs as well. You will need to find out the exact details for the State you aim to operate in, but the following information should be able to give you a general idea as to what to expect. The average annual salary earned by a Master Electrician is depended on the State you live in, the amount of experience you have, and the hourly rate of the company you work for. According to the Bureau of Labor Statistics, the State with the lowest paying rate is North Carolina. The highest paying State is Alaska, and second in line is New York. Master Electricians earn more than journeymen and apprentices. If you take on an apprentice, his/her salary will be calculated according to your hourly fee. 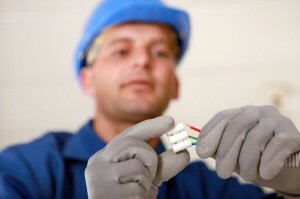 Whether you are a specialized or general electrician also affects your annual income. Some sector’s Master Electricians earn higher salaries than others. It is estimated that salaries can range between $36 000 per year, to $83 000 per year. To better estimate the income you will earn as a Master Electrician, you need to take your region, your specialization, your experience and your sector into account. Better yet, speak to a local Master Electrician. He/she will be able to give you an idea of the market pertaining to your region. A Master Electrician is classified to be someone who has years of experience behind them, and who has held a valid license for a set number of years. Your first order of business would be to get a GED or high school diploma. In most States, this is a necessity and cannot be bypassed. The next step is to find a course of study in the electrical field that suits your passion. Trade schools vary in quality and quantity (according to the field you choose), so be sure to take your time while researching a school that will meet your studying needs. Local unions could also point you in the right direction. Finding an appropriate apprenticeship would be the next logical step. Apprenticeships make up the most part of the supervised hours you will need on record in order to be issued a license, so this is very important. You can apply for an electrician’s license once you have completed an apprenticeship, as well as passed a course from a recognized trade school. More often than not, you will need to take a formal test at your State’s licensing department before being issued a license. In most cases, this test is aimed at your knowledge of the National Electrical Code handbook, so be sure to study this properly. After you have been issued a journeyman license, you will have to work full time for a certain amount of years (find out the exact amount for your State from your local authorities). When applying for a Master Electrician license, you will most likely have to take another exam, and you will have to prove your years of amassed experience. How Many Years Does It Take To Become A Master Electrician? This is relative to the State you are operating in. On average, it should take about seven years from the moment you have obtained your high school diploma or General Equivalent. This number includes your schooling, your apprenticeship and your work experience as a licensed journeyman electrician. Once again, this is individual to the State you are working in. Generally, you would have to amass a certain amount of practical hours or years in the field, and you will be required to prove your age and qualifications. You will also need to provide your valid electrical contractors license. Once you meet the criteria, you will most likely have to take an exam to qualify for a Master Electrician license. The title of Master Electrician is a prestigious one, and proves your dedication to the field. It will require a lot of hard work, and a genuine passion for all things electricity. If you put in your hours and do your part, you should have no problem in gaining this highly valued license. This entry was posted in Electrician Jobs, Electrician Salary, Master Electrician on March 23, 2014 by admin. There is an increase in demand for skilled electricians around the globe at the moment. The construction world is finally regrouping after the economic meltdown of 2009 and new projects are popping up left right and centre. 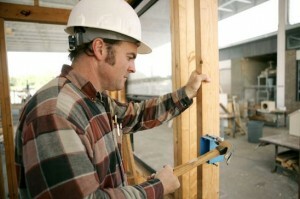 With new building projects come new opportunities for electricians to find stable contract work. Together with this, America is going greener. Companies are exploring more sustainable ways of harnessing energy, and electricians are being called in to install new wiring systems, solar panels etc. Private homeowners are also calling in electricians to help them make their homes more environmentally friendly. New Jersey is seeing similar trends at the moment, and job opportunities for electricians are only projected to grow in number in the coming years. Now is a great time to become an electrician in New Jersey. If you are technically apt, like solving problems and enjoy serving people, this could be the perfect career for you. If you are looking into becoming an electrician, here are a few things you might want to know. The first thing you need to do on your road to becoming a journeyman electrician in New Jersey, is to obtain a high school diploma. You can also opt for a General Equivalent. This is essential and will benefit you later on during the process of becoming an electrician, especially at the licensing stage. Next, you need to find a trade school that offers courses in an area that you are passionate about. You need to decide whether you want to become a general electrician, or whether you want to go into a specific field. The number of schools out there is immense. There are even a few on the internet. Be careful, though, and be sure to check with the New Jersey Board of Examiners of Electrical Contractors whether your school is recognized by the Board. Along with your studies, you would ideally need to complete an apprenticeship. An apprenticeship is an important part of your practical training, and it is also where you will rack up the supervised working hours you will need to qualify for a license. An apprenticeship gives you the chance to ask questions and gain experience in handling the most commonly found field problems. You will also be earning money as an apprentice, so keep this in mind. After completing your apprenticeship and graduating from your chosen course, you need to apply for a journeyman electrician license. According to New Jersey law, you need around 8 000 supervised hours to be eligible for a license, which you will accumulate during your apprenticeship. It is also stated that 4 000 of these hours need to have been obtained within five years preceding your date of application. In addition, you will have to prove that you have amassed a minimum of 576 hours in a classroom to qualify for your license. When handing in your application for a license, you will have to prove all these things, as well as the fact that you have a high school diploma or GED. 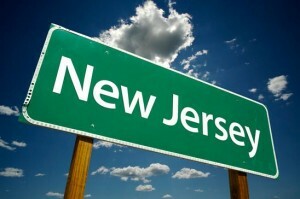 You will need to pay a fee, and to take a test based on the National Electrical Code, as well as the New Jersey codes. The test will be assessed by the New Jersey Board of Examiners of Electrical Contractors. Only after you have passed this will you be issued a journeyman electrician license. You need to remember that you will now be responsible for keeping your license. Adhere to the National Electrical Code at all times, and cover all you bases when working with clients. You will also have to renew your license regularly, and you could face a fine if you miss your renewal deadline. Stay on top of these administrative things regarding your position, and you will be able to build a good reputation as a licensed journeyman electrician. The New Jersey Board of Examiners of Electrical Contractors can give you advice on the many different electrical licenses you can apply for. Everything from linemen to sign electricians is included. Keep this in mind when you are deciding whether you want to specialize in an area or not. Compare your ideals with the licenses available to help you decide what to study before you start. The Board handles all things related to electricians in the State, and you can visit their website for extra information on the specific license you would like to apply for. They can also be contacted via telephone or post. Electrician schools are seeing an influx of students all over the State. Be sure to start your journey toward becoming an electrician in New Jersey as soon as possible, and get a head start on your future competition. This entry was posted in Electrician Jobs, Electrician Qualifications, Electrician Salary, Electricians In New Jersey on March 22, 2014 by admin. There is a growing demand for electricians worldwide, and it is estimated that this job market will continue to grow in the coming years. This is due to a number of factors, but can mainly be attributed to the fact that the construction field is now recovering from the recession and picking up again. 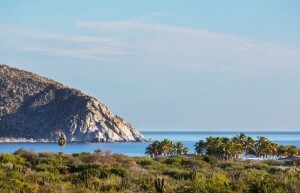 It also helps that the world is becoming more environmentally friendly, with companies and private residences alike installing more economic wiring systems and appliances. There is a large scope for work as an electrician at the moment, with exciting new fields to explore. In Texas, as with any other State in America, there is a set process that is to be followed if someone wants to become a certified electrician. However, as Texas is regarded as one of the most competitive environments for electricians in the country, the process does differ slightly from other States’. Herewith a few short explanations on becoming an electrician in Texas. A Master Electrician is someone who has obtained an electrician license, and who has amassed several years of experience working in the field. To reach this level, you will have to start off with obtaining either a high school diploma, or a General Equivalent. This is necessary for you to be able to get a license later on. Next, you will have to enroll in a study course that focuses on the area of your choice. Good schools to look at are Houston Community College, Odessa College, and South Plains College in Levelland. The North Plains Electrical Training Center in Grand Prairie is also popular. Along with your studies, you will also have to complete a reputable apprenticeship. An apprenticeship is crucial, as this is where you will get most of your training. You will be facing everyday issues while having someone there with you to guide you through the processes. After completing your apprenticeship and graduating from your chosen course, you need to apply for a journeyman electrician license. According to Texas law, you need to have racked up around 8 000 supervised hours to be able to qualify for a license, so an apprenticeship is absolutely essential here. In order to get your license, you will need to take a test at the Texas Department of Licensing and Regulation. You will need to study Texas codes and laws, as well as the National Electrical Code to pass the test. After you have obtained your journeyman license, you will have to work full time for a minimum of two years to be able to apply for a Master license. You will need to take another exam to obtain this license. Becoming a Master Electrician in Texas takes time, but if your follow through and work hard, you should be able to reach your goal in roughly six years’ time. 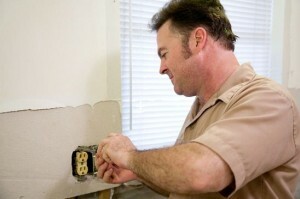 To become a licensed electrician in Texas, you need to follow the same road as a Master Electrician would. You need to obtain a GED or high school diploma, you need to enroll in a recognized trade school, and you need to complete an apprenticeship. After this, you need to pass the licensing test. Maintaining your license, however, is just as important. As a journeyman, you will be required to adhere to the Texas codes and laws, as well as the National Electrical Code. If you do not uphold these codes, your license could be revoked. You also need to renew your license annually, so be sure to pay your license fees on time. As a journeyman, try to find a job working for a Master Electrician. The Master Electrician will be able to further mentor you. Also, the State of Texas requires you to have 12 000 hours of supervised work for you to be able to apply for a Master Electrician license of your own. The sooner you can reach these hours, the better, as you will better be able to start your own business later on. 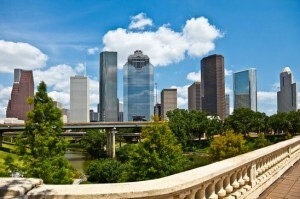 The State of Texas offers a variety of certifications for electricians to apply for. Everything from linemen to sign electricians is included. Keep this in mind when you are deciding whether you want to specialize in an area or not. Check that the State supports a license for you, or browse their licenses to get inspired before you decide what to study. The Texas Department of Licensing and Regulation has a good amount of information available on their website, and they can provide you with all information and requirements needed for you to get licensed in your area of choice. The job market for electricians is rapidly growing, and now is the perfect time to jump on board! Do your research, pick your school and get that apprenticeship as soon as possible, and start carving out a career for yourself today. This entry was posted in Electrician Jobs, Electrician Salary, Electricians In Texas on March 21, 2014 by admin. An electrician apprenticeship can take up to four years to complete, depending on the field you choose. As this is not always an option for people who want to become an electrician fast, you can consider not doing an apprenticeship at all, and merely focusing on your studies. It is necessary to note that you will be required to be able to operate fully as a licensed electrician in order for you to keep your license. Often times, when looking for work at major companies after obtaining your license, the company will require you to have done an apprenticeship to be considered for the position. If you choose to open your own business, you will need to list your experience in order to build a clientele, and a lack of an apprenticeship could count against you. Also, in some States, you will have to prove that you have done an apprenticeship in order to qualify for a contractor’s license. Apprenticeships are sometimes hard to come by, as they also require you to take an extensive test beforehand, focusing on maths. But their value can not be overestimated. During an apprenticeship, you will learn tricks of the trade from masters who have blazed the trail before. You will get to face the most common of field problems with someone by your side to guide and assist you. You will also be earning money as an apprentice, paid hourly and according to your level. However, if you can’t afford the few extra years, and would like to jump right in, you can obtain an electrician license without doing an apprenticeship. You will still have to have a high school diploma or General Equivalent, and you will still have to study an electrician course at a trade school or college. You will also still have to take an exam to become certified. But if you choose to proceed without an apprenticeship, here are a few answers to your most burning questions. How Many Years Does It Take To Become An Electrician? The short answer to this question is five years. This is the general amount of time it takes, if you follow through with an apprenticeship, and you choose to specialize in a specific area. Without an apprenticeship, you can become an electrician within two years (no specialization). Study courses can range in length, but most take between 6 to 18 months to complete. Now take into account that you will have to take a licensing exam in order to work, so give yourself some extra time to study. The sooner you take your exam, the better, but some States have a testing schedule that you will have to slot into. Can You Be Too Old To Become An Electrician? This is relative. You can never be too old to learn a new skill or gain knowledge, so studying a course should not be something to hold you back. It is worthy to mention that being an electrician can be a physically demanding job. Often times you will be clambering up ladders or balancing on scaffolding. You will be handling heavy power tools and even crawling though cramped spaces. If you are fit, able and mentally bright, you are most definitely not too old to become an electrician. If you already have your high school diploma or GED, the next step to becoming an electrician fast would be to decide what exactly it is that you want to do. Do you want to become a general electrician? Or do you want to specialize in a specific area or even sector, such as machinery or mining? Once you have decided this, search for the course that will suit your needs. Be focused and determined in your search, so you won’t have to settle or change courses halfway through. Once you have enrolled in a course, give it your all. Study hard, so you won’t have to repeat a subject. Once you have graduated from your trade school, find out what the requirements are for your local certification exam. Take the test as soon as possible so you can obtain your license and begin to work. It is possible to become an electrician without doing an apprenticeship, but it is not highly recommended. However, not everyone has the luxury of time. Do your best and achieve high scores to improve your chances of finding a job later on. Some States do not require you to have done an apprenticeship for you to qualify for a contractor’s license, so you may even be able to still start your own business. Better yet, talk to electricians in your region to get an idea of what the job scope looks like, and be willing to listen to their advice. If you are willing to work hard, you will be successful regardless. This entry was posted in Apprentice Electricians, Electrician Jobs, Electrician Qualifications, Electrician Salary on March 20, 2014 by admin. There are a definite set number of steps you need to take to become a licensed electrician. An electrician is required to be able to install and maintain electrical systems, diagnose problems and know how to fix them, and run his/her own business successfully. An electrician needs to understand the laws and codes that dictate how he/she is to operate within their State, and they need to be able to conduct their services in such a manner that it is safe for both them and their client. Furthermore, an electrician needs to be in fairly good physical shape, and they must know how to operate a variety of testing devices and power tools. To ensure that all licensed electricians meet these same high standards, it is necessary in the United States for candidates who are planning on going into the field to follow the correct steps (in the correct order) to obtain said licenses. It is a strict process, but in ensures that electricians are governed and can be held responsible for their actions. But how long does it take to get a license, and how do you go about it? Here is a quick overview to help you out. In total, it should take about five years (less if all goes well) from starting your apprenticeship to getting your license. After obtaining a high school diploma or General Equivalent, you will be required to take an algebra and comprehension test so as to be entered into an apprenticeship. Apprenticeships take about four years to complete, depending on whether you have decided to specialize or not. General electrician apprenticeships may be shorter than commercial apprenticeships. Your decision to specialize may also affect the rate at which you will be paid while working as an apprentice. While completing your apprenticeship, it is highly recommended that you enroll in a study course that will suit your field. There are a great number of colleges out there, and even some online ones, so you are sure to find one that suits you. Some colleges offer both a course and an apprenticeship at the same time, so be sure to do your research before making your final decision. After completing both your studies and your apprenticeship, you need to apply at your local licensing department to be able to take the licensing test. The exam will test your knowledge of the State’s codes and regulations, which are necessary for you to know in order to keep your license from being revoked. The exams differ from State to State, so make sure you know the requirements for yours. Some will allow you to take your handbook into the exam, for example. Also make sure that you know what you are to expect in regards to format (will you be writing an essay, doing a monkey puzzle etc. ), as this will help you to prepare accordingly. You will need to study quite hard for this, and make sure you take in the information properly. Once you have your own business, or you are working for a professional company, you will have to adhere to these codes to keep your license. Should you pass your exam, you will finally be awarded with a license with which you can do business. You can collect it from your local licensing department. You will need to prove that you have a high school diploma or General Equivalent. You will need to prove that you are a citizen of the United States of America. You will need to prove that you have a qualification for the area you aim to work in. You will need to prove that you have done practical training in the field. You will need to prove that you have a license to work in the specified field. You will also have to hand in bank statements to prove that you have the means to get your business off the ground. However, some States may require more, and others less. You will need to find out the specific requirements from your local authorities. Some States may even require you to write another test or major exam. These steps are necessary however, for you to be able to start and grow your business. Gaining an electrician license requires you to work hard in a physically and mentally draining environment. It takes a good deal of dedication. However, the work is highly rewarding and will leave you with a skill set that is sure to withstand the test of time. This entry was posted in Electrician Job Description, Electrician Jobs, Licensed Electrician on March 17, 2014 by admin. In the United States, there are a number of requirements you need to adhere to in order for you to become a certified electrician. This is absolutely necessary in order for authorities to be able to regulate and govern those who deliver this service. It ensures that your clients receive a lawful and safe service, and that the quality of the work will meet the State’s codes. It is essential for you to be certified in order for you to operate as an electrician in any American State. If you are currently completing an apprenticeship, or studying to become an electrician, you will deem it necessary in future to apply for such a certification. Even if you are still only deciding on whether you would like to become an electrician, it will do you good to know the basics. What are the steps you need to follow to become an electrician? What type of certification test can you expect, and what are your options? Herewith a few answers to your most pressing questions. To become an electrician, you will need to acquire a high school diploma first. A General Equivalent will also do. This is necessary, as you will be tested on algebra and even comprehension sometime throughout the process of becoming an electrician. Next, you will need to find an apprenticeship. You can apply for an apprentice position at major electrical companies, or with an electrical union. Technical schools sometimes offer apprenticeships along with their courses, which saves a bit of time. An apprenticeship lasts for about four years, during which time you will also be paid an hourly rate for the work you do. The amount you are paid, as well as the duration of the apprenticeship depends on the area you have chosen (i.e. whether you have chosen to specialize or not). The next step is to enroll in a technical electrician school or college. Choose an institution that caters to the field you have chosen. If you are not sure whether you would like to specialize yet, choose a school that can give you that option later on. There are many schools to choose from, and even a few online options. Make sure that the school you choose is as widely recognized as possible, as it will increase your chances of finding a job, in more than one State. After you have completed both your apprenticeship and your studies, you will be ready to take your certification test. Find out from your local licensing authority when the next exam is, and take your test as soon as possible. The licensing exam of every State is different. You will need to gain as much information about your upcoming test as possible, so you can plan and study accordingly. Most States use the National Electrical Code (or NEC) handbook as the main source of study. Clarify with the department beforehand whether you will be allowed to take your handbook into the test with you. It is important to find out what the format of the exam will be. Some exams may require you to write an essay, while others have a layout similar to a monkey puzzle. This is unique to the individual State. Most commonly, your test questions will focus on the National Electrical Code, as well as the codes and laws that apply to your State. Make sure you get all the info. While studying for your exam, make sure you take the material to heart, as you will be operating according to these laws and codes once you are certified. This also means that you can be held accountable if you do not adhere to them, so it is essential that you have a firm understanding of the information. There are a number of online institutions where you can study to become an electrician, and so also offer you the chance to take your certification test online. It is important to check that the institution is reputable and widely recognized. Make sure that the certification you obtain from them will be accepted in your State. It would be best to speak with your local authorities, as they would be able to tell you which institutions are accepted in the region. While online studying and testing may be convenient, there are a lot of scammers out there. Protect yourself and ask around first. After you have obtained your certification, you will be able to legally work as an electrician in your State. You will be responsible for maintaining your license, however. Pay your license fees on time and adhere to the National Electrical Code, as well as your State’s individual codes and laws. Remember that this process has been designed to help you. Your certification will go a long way when sourcing new clients, and applying for a contractors license of your own. This entry was posted in Apprentice Electricians, Electrician Jobs, Electrician Qualifications on March 16, 2014 by admin.